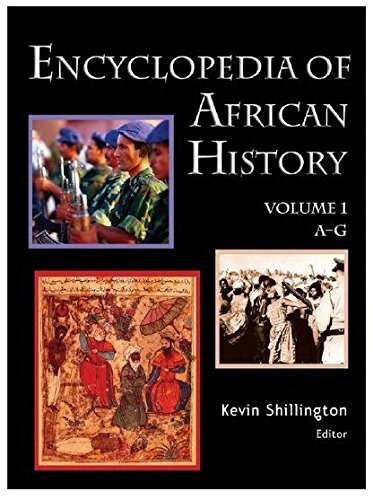 [PDF] Encyclopedia of African History 3-Volume Set | Free eBooks Download - EBOOKEE! Description: Covering the entire continent from Morocco, Libya, and Egypt in the north to the Cape of Good Hope in the south, and the surrounding islands from Cape Verde in the west to Madagascar, Mauritius, and Seychelles in the east, the Encyclopedia of African History is a new A-Z reference resource on the history of the entire African continent. With entries ranging from the earliest evolution of human beings in Africa to the beginning of the twenty-first century, this comprehensive three volume Encyclopedia is the first reference of this scale and scope. Also includes 99 maps. No comments for "[PDF] Encyclopedia of African History 3-Volume Set".